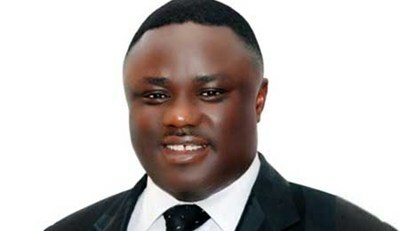 Christian Media in Nigeria : Cross River State suspends Education Perm. Sec Anne Odey over suspension of morning devotion in schools. Cross River State suspends Education Perm. Sec Anne Odey over suspension of morning devotion in schools. It seems the last has not been heard on the issue of the suspension of morning devotion in schools in Cross River State. We earlier reported that the Christian Association of Nigeria registered its dissent on this directive and issued a press statement on this. The Cross River State has suspended the Education Permanent Secretary over this, saying that this decision was unilaterally taken by Mrs Odey without consulting the state governor. According to the State Security Adviser (SSA) to Governor Ben Ayade, Jude Ngaji while talking with newsmen yesterday in Calabar, the state police governor indeed contacted the state ministry of Education about a possible attack by Boko Haram. But it was not enough to suspend devotions without due consultation. "The governor has directed that the permanent secretary be suspended indefinitely while the ban on suspension of devotion has been lifted immediately. It is true that police got intelligence information that Boko Haram is planning to bomb schools during morning devotions and therefore directed authorities in the Ministry of Education to act fast. But the permanent secretary did not bother to refer to the governor or call for stakeholders’ meeting to that effect. So, the governor feels pained that the permanent secretary got such sensitive information without seeking for his advice and went ahead to issue directive suspending morning devotions in schools," he said. He added that the governor is a strong believer in God and will not do anything that will prevent people from worshiping God.